RÖSZKE, Hungary – In September 2015, migrants here hurled rocks, set fires, and violently stormed a new chain-link fence that had just gone up on Hungary's southern border with Serbia, tops and bottoms lined by looping rolls of razor wire on the Serbian side. Prime Minister Viktor Orban had closed the border as scheduled when the fence was declared finished, damming the unending caravans that had already carried 400,000 mostly Muslim migrants through this nation of 10 million toward western Europe along the so-called "Balkan Route". The confrontations over the new fencing marked an abrupt transition for Hungary from an open-borders transit nation to a much-resented, no-go migration zone. Hungary's 330 miles of fencing, today accompanied by several innovative migration-management policies, has debilitated the old Balkan Route and offers lessons to American policy-makers grappling with a similar problem. Today, the mundane sounds of farm animals, wind through cultivated fields running up to the fence line, and an occasional tractor or border patrol vehicle punctuate the reinforced rural tranquility that characterized Röszke before it became an infamous way-point in Europe's 2014-2017 "migrant crisis". 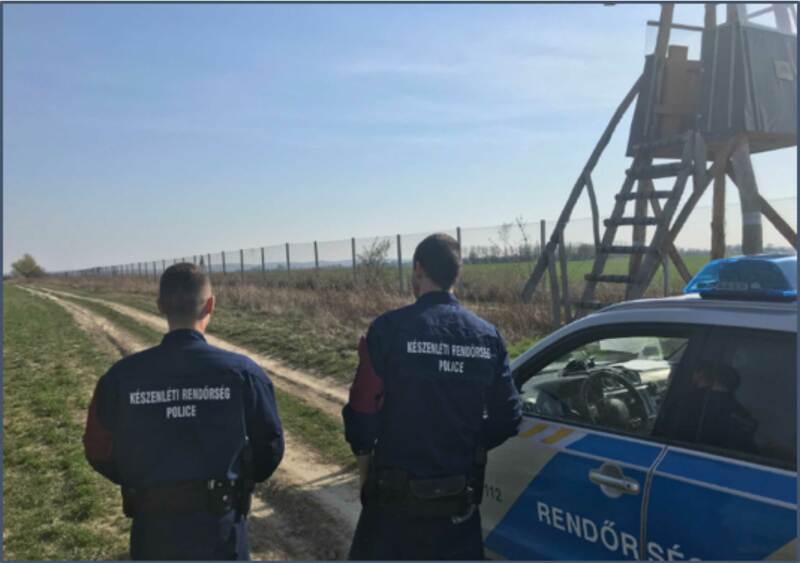 Along a section of fence with Croatia, two Hungarian border guard partners sat in their patrol vehicle near the border village of Kölked and complained that nothing much ever happens these days on patrol; sometimes a few migrants are caught cutting the fence but mostly this isn't a high-action job. Hungary's fence at Röszke was made electrifiable and reinforced with a second fence since the 2015 clashes with migrants here. Not lost on the Hungarians are the parallels to the current unregulated mass illegal migration from Central America pouring over America's southern border, which is projected to exceed one million in 2019 alone, and as President Donald Trump contemplates building barriers and closing the U.S.-Mexico border. "It's the same thing we're seeing right now at the Mexican-American border, in the same way," Gyorgy Bakondi, senior advisor to Prime Minister Orban and the architect of Hungary's fencing project, recently told the Center for Immigration Studies in Budapest. "How many hundreds of thousands of Salvadorans, Guatemalans, Nicaraguans, at the very same moment, got the idea to suddenly move to the United States? In 2015, the number of migrants arriving in Europe we were estimating at one-and-a-half to two million people. They didn't obey any laws, any rules, anything. They just passed through our country and other countries as well." "Our government took the decision that this is not possible and we need to close our borders. We have to stop this irregular, uncontrolled flow of migration," Bakondi said. Bakondi said he recently has shared with American counterparts and the State Department his "reading of the situation" and offered recommendations as to what the Americans ought to do. There's no indication the Trump administration is following through. But while Hungary's fence-with-policies model may not squarely or easily transfer to North America, the model's very rarity and effectiveness at least justifies visitation in an ideas-hungry United States. The Hungarian measures, of course, have drawn international criticism as draconian, inhumane, or xenophobic. But the Hungarians insist that they meet all international agreements accommodating asylum claims and providing humane treatment of migrants while still deterring mass unregulated migration. So how did Hungary's fence and policies stop hundreds of thousands of migrants pretty much in their tracks? In 2015, the Balkan Route was one of four or five land or sea passages over which hundreds of thousands of migrants from Muslim-majority countries moved after hearing welcoming messaging from European leaders like Germany's Angela Merkel. The countries en route to the most prosperous European nations were suddenly awash with humanity. 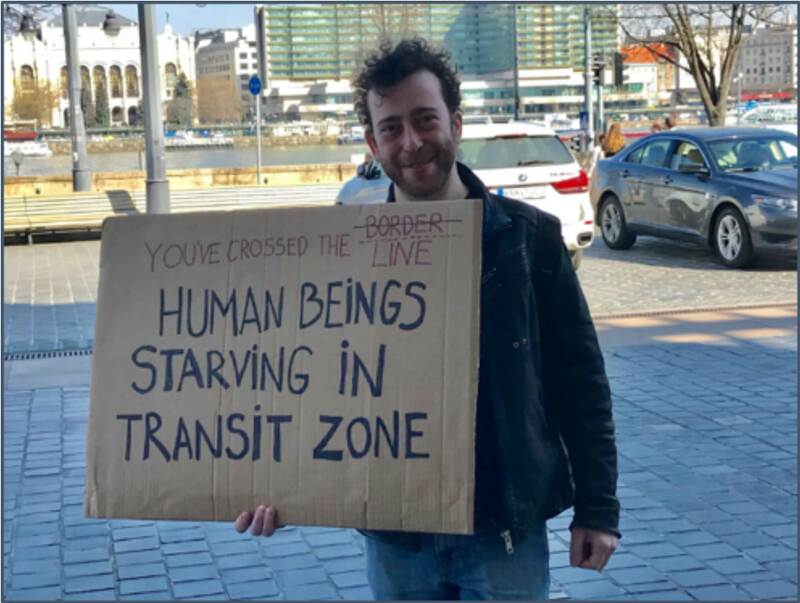 Hungary, an almost unavoidable transit nation on the Balkan route, decided it would not participate after its transportation systems were quickly clogged and overcome, to an extent that the national economy began to falter. "It was clear from the first minute that we needed that barrier because where there is no technical barrier, even if we had policemen or army officers, they just run through them," said Bakondi. 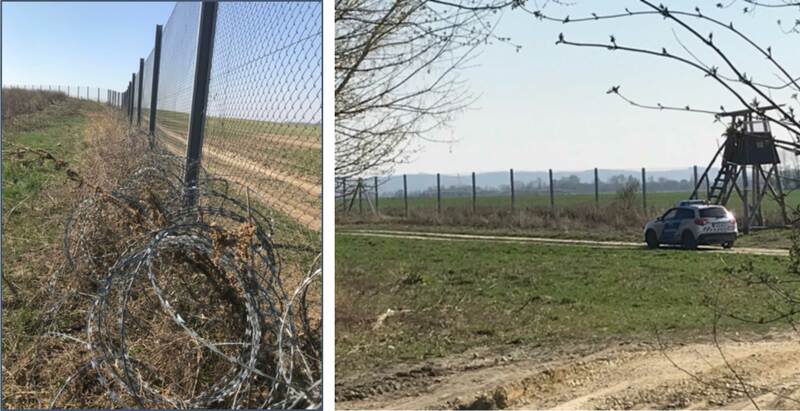 In a matter of three or four months, Hungarian soldiers, with help from prisoners, erected that first fence along 110 miles of the border with Serbia at a cost of about $100 million. When the refugee flow naturally shifted from Serbia, west to Croatia's open border with Hungary, the Hungarians added a couple of hundred more miles of simple fencing there with razor wire, bolstered by heavy patrolling on the Hungarian side. When the migrants shifted even further west, Slovenia and Austria built fences. It all started with the Hungarians taking a stand. "I would not like to send a message about this, especially through the media," Bakondi told CIS. But Sandor Gallai, director of the Migration Research Institute, a Hungarian think tank, said the fencing alone was just a beginning; a series of deterring government policies was crucial to complement it and had to be crafted in a way that met Hungary's international obligations in its treatment of authentic refugees and asylum seekers, as opposed to merely economic migrants looking for the richest country to live in. Migrants still try their luck, but find that the fence-backed policies have had the effect of bottling them up in Bosnia. Today, at least 30,000 migrants who thought to try the Balkan route have been essentially trapped in Bosnia, unable to advance toward Hungary, thanks to the policies, and unwilling to retreat. "We don't see a way out for that group in Bosnia," Gallai said. A central element of the Hungarian model is the so-called "transit zone", where migrants wishing to formally pursue asylum claims in Hungary are required to apply and then await the outcome without interior entry. In Hungary's view, transit zones ensure that Hungary stays in compliance with international law and EU agreements requiring that asylum seekers are accommodated while ensuring they also are not actually detained and can't game the asylum process as a means to gain entry, as happens on a large scale with Central Americans entering the United States. Two such transit zones are set up along the southern border with Serbia. Food, shelter, and other basic needs are provided for all asylum applicants who choose to actually submit paperwork; however, there's a catch. Petitioners are not allowed to advance into Hungary proper until after the applications are completely processed, a period that might last about 30-45 days. The roughly 40 percent of those approved are entitled to move into well-supplied transitional shelter centers. But most don't bother. Instead, they typically use their documents to continue on to western Europe, at least somewhat vetted. With this practice, Hungary's push-back policy had the unintended outcome of causing neighboring nations to also adopt their own push-back policies, like in the game hot-potato where the hot potato is moved ever backward from intended destinations. Hungary started the game by extending its fence 216 miles to cover the Croatia border, after that country simply began moving the migrants over it. The migrants pressed west to Slovenia — until Slovenia built a fence. Then both Serbia and Croatia, finding they were ending up with large numbers of unwanted migrants unable to advance north, began returning the migrants to nations on their southern borders, such as Macedonia or Bosnia. For a time, the migrants and their smugglers tried shifting through the Serbia-Romanian border for a run at Hungary's un-fenced eastern border. But after Hungary threatened to build a new barrier on that border, the Romanians reinforced their own border patrol and began mass push-backs of migrants into Serbia, which in turn pushed them back to Macedonia or Bosnia. 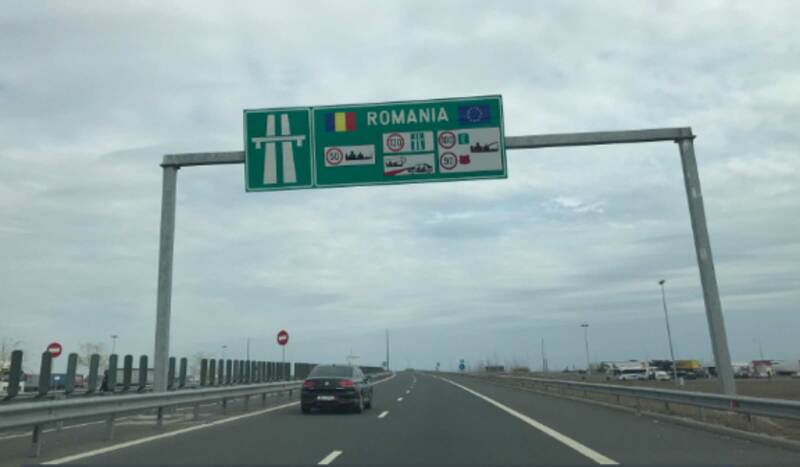 "The Romanians are taking back everybody, and as a result of this reinforcement and cooperation, Romania did not become the next main route," Bakondi said. Illegal migration through Croatia hasn't entirely disappeared, either, as migrants get past various patrols and to the Hungarian fence, according to Croatian border guards at the border crossing village of Udvar. A visit to that section showed that an easily scalable chain link fence covered miles of Croatia border with little more than a roll of rusting razor wire along the bottom. Still, farmers in the area reported heavy Hungarian border patrolling on the road just beyond, saying it's still tough to get far without getting caught. "It was clear that we would have to continually deploy large numbers of army and police units to continuously control movement there, once the fence was up," Bakondi said. "Because if there is no live force, the migrants would just break through the fence." "We're supposed to call the police immediately when refugees show up," said Alen Lapoji, a 26-year-old bartender in the Croatia village of Dubosevica near the confluence of the Croatia, Hungary, and Serbia borders. "Hungary's laws now say that conduct calling or encouraging others to run against the border guard can be regarded as an act of terrorism," Gallai said. As a sign of Hungary's hardline stance, and in line with its newly passed laws, criminal trials were conducted against migrants who had been involved in the 2015 disturbances. It goes without saying that some key circumstances wildly differ between Hungary and the United States, for instance the fact that a strong majority of Hungary's electorate supports the government fence and measures, while the U.S. Congress and public are divided over what to do. Any measure to restrict or green-light illegal migration is sure to be controversial. That alone is not disqualification for consideration. And with a 1.5 million new illegal Central Americans projected to join the country permanently, it can't hurt to look afar for solutions to close-in problems.